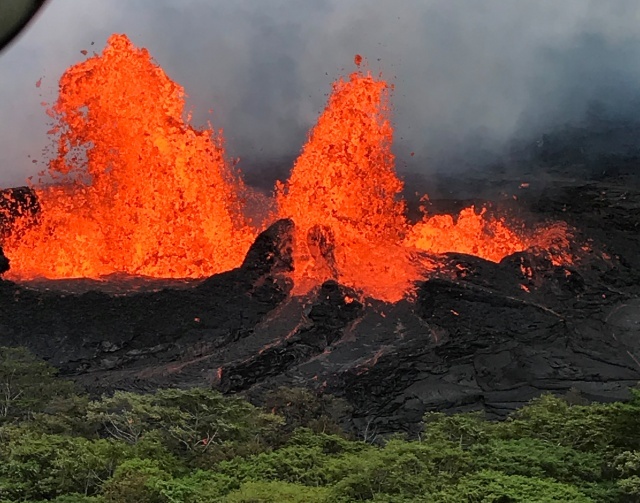 The plant has been closed since shortly after lava began erupting on May 3 through newly opened fissures in the ground running through neighbourhoods and roads on the far eastern flank of Kilauea. 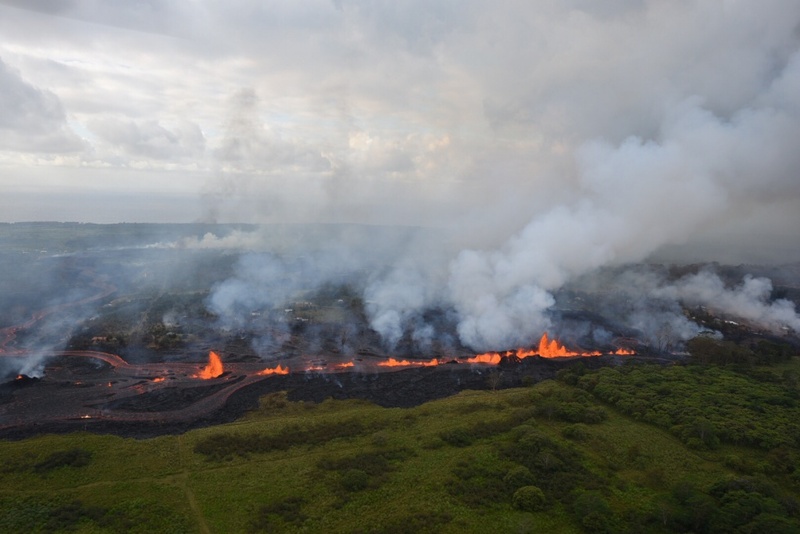 Lava flows downhill in this helicopter overflight image of Kilauea Volcano’s lower East Rift zone. 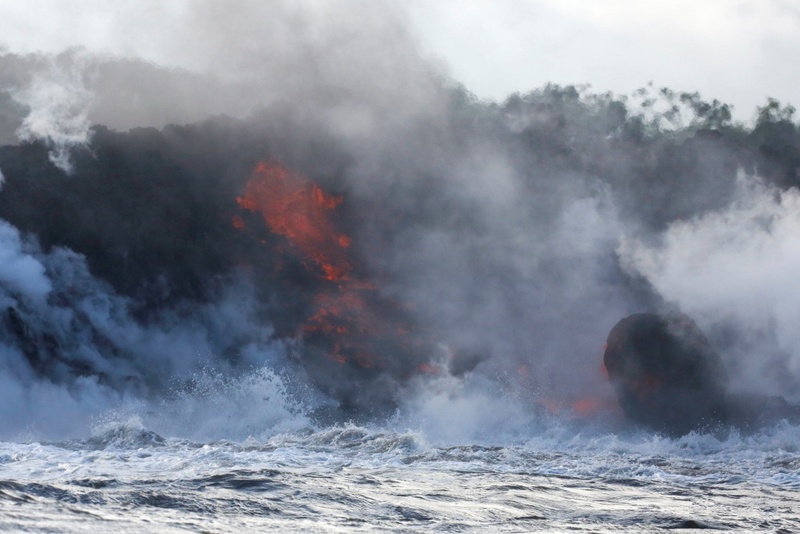 Lava flows into the Pacific Ocean southeast of Pahoa during ongoing eruptions of the Kilauea Volcano. 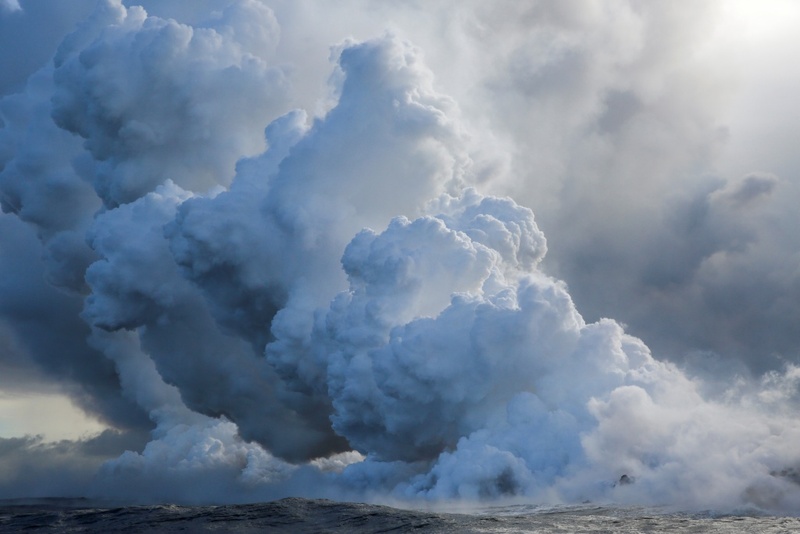 Laze – a term combining the words “lava” and “haze” – is formed when erupting lava, which can reach 2,000 degrees Fahrenheit (1,093 degrees Celsius), reacts with sea water. 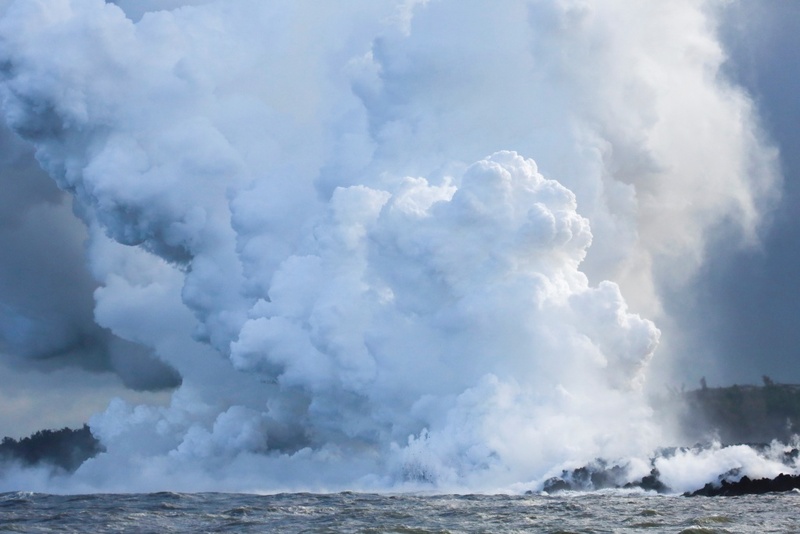 It is potentially deadly if inhaled. Geologists say Kilauea’s eruption, which has already produced around two dozen lava-spewing fissures, has now entered a more violent phase, in which larger volumes of molten rock are oozing from the ground and travelling farther than before. 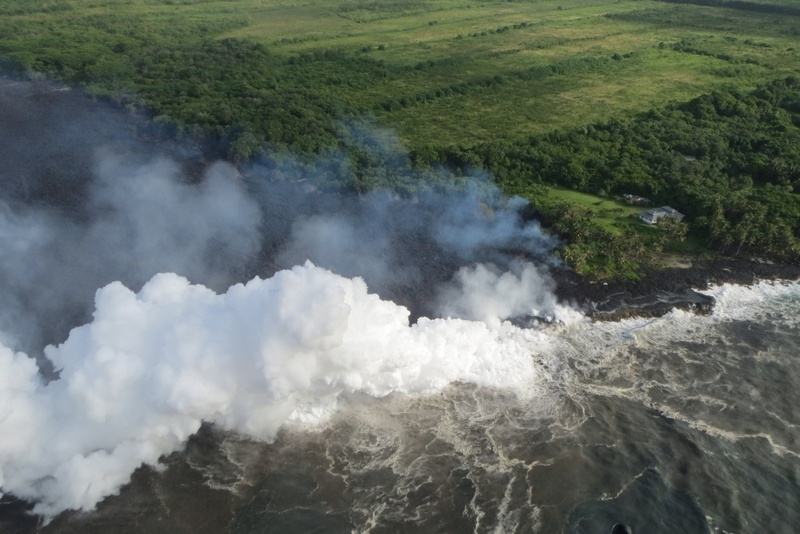 Two thousand people have been ordered from their homes due to lava flows and toxic sulphur dioxide gas, levels of which have tripled in the last two days, according to civil defense officials. 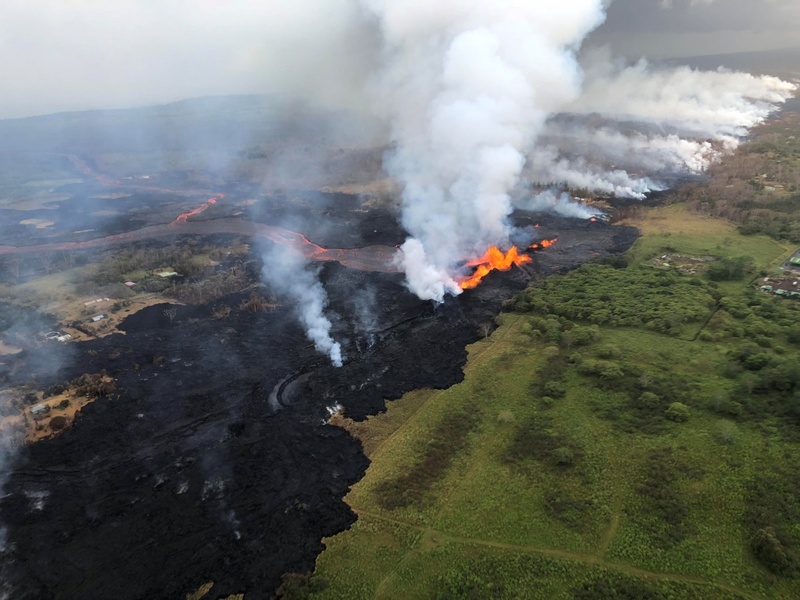 The Hawaii National Guard has warned of more mandatory evacuations if further highways are blocked.